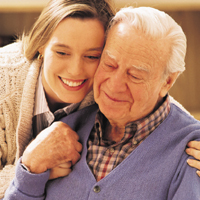 Iroquois Memorial Hospital Homecare: Iroquois Home Care Recommended Reading. The Internet is a great source of information for you to use in managing your healthcare or the healthcare of a loved one. It can also be good way to locate the support resources you need as a patient or caregiver. Below is a list of links which we hope will help you find the information and support you need. Please call our office directly if we can be of any assistance to you. When in need of outside help, a local information/referral service can be very useful. Even if they don't have the specific information you're looking for they most likely will know where you can get it. The yellow pages of your phone book should have a guide to local service agencies listed in the Human Services section. If you're unable to find a Human Service guide, or the specific service you're looking for, call the local service of a national service organization and explain your problem. They should be able to direct you to the right place.